The 2018 Speakers at BC Christian Ashram will be Rev. Gordon Ross and Rev. Russell Chadwick. Pastor Gordon Ross from Whitby, Ontario has deep roots in the Christian Ashram Movement. He was the founding director of the Atlantic Christian Ashram. He is director of the Central Ontario Christian Ashram. He has also served as the Canadian Representative to the International Board of Directors of the United Christian Ashrams. Currently he is a member of the Four. 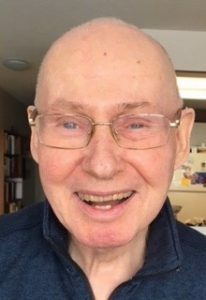 Gordon served for 23 years as a minister of the United Church of Canada, in various pastorates in New Brunswick, Quebec and Ontario. In 1990 he was received as a minster of the Reformed Church in America, and appointed as Program Secretary for Church Development 1990 -1992. From 1992-2007 he was affiliated with a Toronto law firm. He is retired as a lawyer and as a pastor. He is married to his wife Judith and is the father of 3 adult children and the proud grandfather of 5 grandchildren. Married to Gerrie (an Afrikaans lady) for 42 years; father of 5 amazing kids; grandfather of 10. Blessed beyond measure! 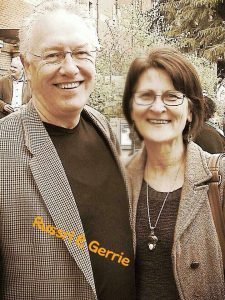 I have ministered very much in a team dynamic with Gerrie since we took our first pastorate in Rhodesia in 1978 during the Rhodesian war. I was 21 when we started there. Our ministry can probably be best described as Church Planting. Not for the faint hearted, it demands a wide spectrum of ministry applications from evangelism through children and youth ministry, worship, teaching, counselling, discipleship and leadership mentoring and much more. We have many passions. We love leading worship and are both musicians. We love preaching, especially exposition. We love evangelism and seeing people meeting with Jesus. I think our supreme passion is encouraging the church to live and move in the Holy Spirit…oh, and discipleship! We have ministered all over the world, though we were based in southern Africa for 23 years, then in the UK for 16 years, and now we’ve been in Vancouver about 18 months. Here we minister with our son Wesley at Gospel Mission Society in DTES Vancouver in the epicentre of the Fentanyl epidemic. Gerrie also leads Divine Cornerstone Church in Burnaby. When &where is the Ashram retreat? Why would you use the name Ashram when it has connotations of Hinduism? This is not a good choice of word for a Christian organization. With all the New Age stuff going on I would hesitate to feel comfortable attending one of your retreats.